Selaiyur Chennai. Just 5 kms from Tambaram Railway Station, Bus Stand and Vandalur. How Far is Ruby Grand? RUBY GRAND. A Prestigious and Luxurious Residential gated community project by ruby builders is developed in 4 acres of serenity at selaiyur near Bharath University. 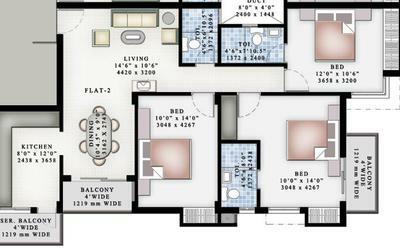 Built on 8 block's, the 302 homes range from a comfortable 575 Sq. Ft. to a sprawling 1454 Sq. Ft. every grand details is taken care of to give a home that meets your lifestyle. Open raft / Isolated RCC Footing. Framed Structure (RCC - Columns, Plinth / Lintel Beams, Roof Sunshade & Slabs. 9" / 8" thick in main walls and 4" thick in partition walls in Cement Mortar. One with 3 Cuddapah Stone Slab – 4' length without Shutters – in Bedrooms. One with 4 Cuddapah Stone Slab – 4' length without Shutters – in Kitchen. Synthetic Enamel Paint for Doors / Windows & Grills, Putty finish with 2 coats of Emulsion for Inner Walls and exterior with exterior emulsion finish. Country Wood frames & shutters with glass panels and grills finished with Enamel Paints. Main Door and frame in Teak Wood, Varnish finish with Godrej or similar locks. All other door frames in Country Wood with Solid Core Flush Doors. In Bathrooms water proof doors. Lime Brick / Jelly / Coba. Kota / Shabath / Terracota Tiles. 600mm x 600mm Vitrified Tiles except Kitchen and Balcony. Tiles Cost fixed Rs.40/- per sq.ft. All Concealed Pipes are by CPVC material. Other Pipes are by PVC Material. Common Bore Well, Sump and Overhead Tank with Electrical Motor Pump will be provided. Ceramic Wall for 7' height and anti-skid Ceramic Tiles in Floors with Standard CP Fittings. Tiles Cost fixed Rs.18/- per Sq.ft. Finished with Black Granite Slabs with a Stainless Steel Sink. Ceramic Wall Tiles for 2' height above the Platform. Concealed electrical wiring by ISI Multi-Strand Copper Wires with Standard switches – No Fittings will be Provided. Generator back up for common area. The following items will not come within the preview of this Agreement. Safety Grills at the entrance and rear. Electrical points other than our specification. The materials other than our Standard, supplied by the Customers / Purchaser will not be entertained / utilized by the Company. It has to be done at their own risk. However the Provisions will be provided by the Company if requested. The above items and related additional work will be undertaken only on prior intimation in writing to the party of THIRD Part on paying required costs for the same. Ruby Builders and Promoters started their journey in the year 1997, They have constructed artistic homes, apartments, and commercial complexes, the company conforms to ISO 9001-2008 standards. new technology, modern machinery, innovation and the quest for growth are the inimitable hallmarks of the company. L. Dr. Ruby Manoharan, the Founder and Managing Director of Ruby Builders and Promoters is a former Indian Air Force Veteran. He ventured into this flagship Real Estate Enterprise with the right gear and a cautious riding style and is now the Managing Director of Ruby Manoharan Property Developers Private Limited and Ruby Ceramics. They are known for quality building, proper management, standard design, development, construction and promotion of residential building in a proper manner. 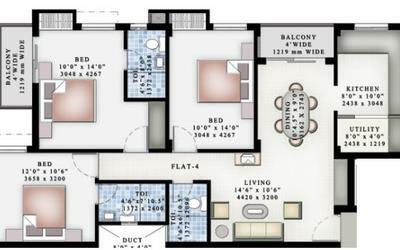 An example of their work is Ruby Landmark in Chennai which offers 2BHK,3BHK flats with amazing facilities. 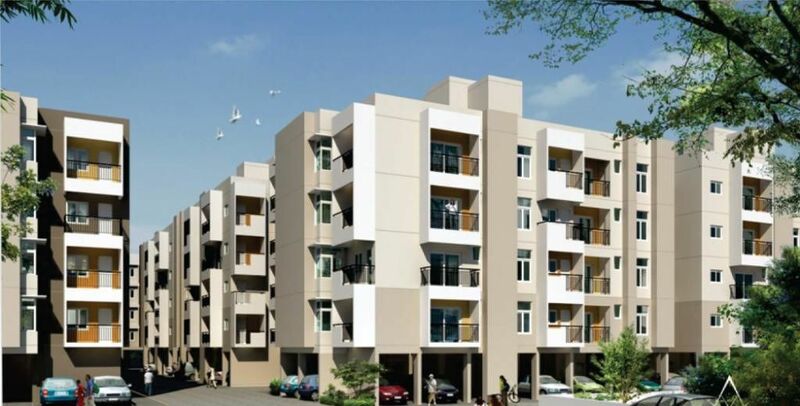 Ruby Builders and Promoters has constructed many projects, some of them are Ruby Regency in Selaiyur, Ruby Homes in Rajakilpakkam, Ruby Residency in Tambaram, Ruby Crest in Rajakilpakkam at Chennai, Ruby Residential Paradise in Baiyappanahalli Bangalore and the list goes on. Ruby Builders philosophy is to deliver projects with high quality, on time, at affordable budget with impeccable safety record. The integrated work culture in company is built on hard work, honesty, Planning and involvement. Also, their thinking is to provide excellent after sale service to the customers as and when required. To maintain steady, profitable growth to ensure the long-term vitality of their company in providing constructive contributions to society and sustaining a safe, dynamic and rewarding work environment for loyal team members. To achieve flexibility and ability to keep in pace with the ever-changing market. To maintain their competitive advantages through the use of modern techniques, motivation and innovation.